National Football League owners approved $200 million in a G-4 loan that will be directed to fund construction costs for the new Santa Clara Stadium, the new home of the San Francisco 49ers. The approval is the last piece of financing needed for construction to begin on the stadium, and the 49ers are the first franchise to receive support from the new stadium fund that was crafted in the collective bargaining agreement with NFL players last year. 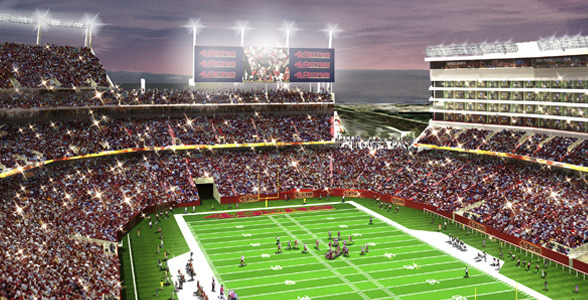 Be the first to comment on "NFL Approves $200 Million Stadium Loan for the 49ers New Stadium"